It’s birthday time at our house again! Our little one turned two! I can’t believe my baby is so big. 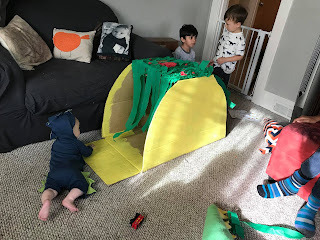 We chose a dragons love tacos theme, because it is one of his favorite books, and because we thought it would make such a fun party. 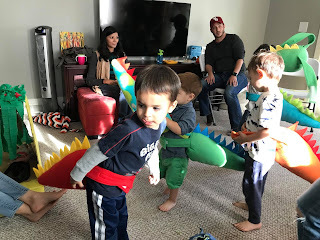 Because dragons love parties, and so do we (I really do think it’s the comforting sound of a good friend’s laughter). 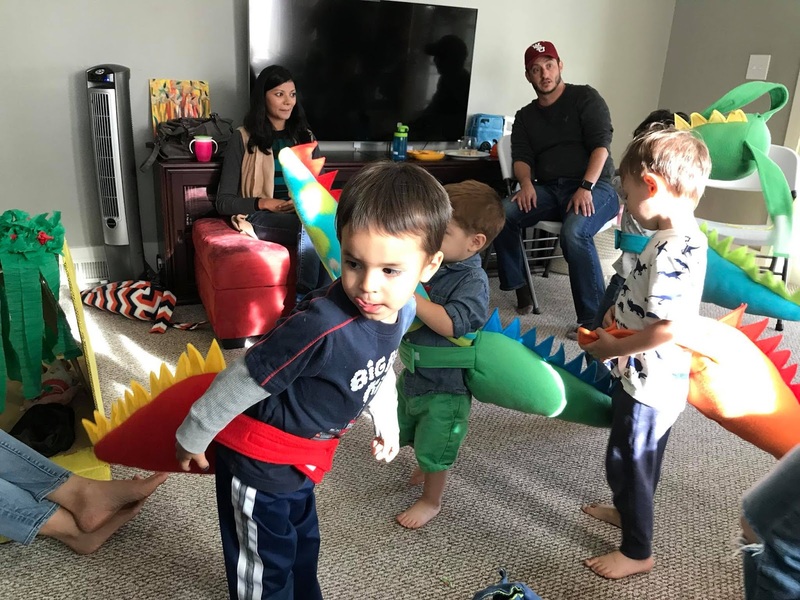 We approach our kids’ birthdays in a unique way. I am trying to help them associate celebrations with making memories with people they love instead of acquiring stuff, so we celebrate birthdays with 3 things. 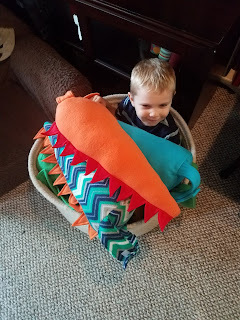 Yes, we only get our kids one gift for their birthday. This year, The Bear got a toy piano, because he loves music. I found SO MANY toy pianos on Ebay, so we got his for 40 bucks! And it still plays perfectly. We also have a no gift party, and people mostly listen. We got some adorable cards and paintings from his little friends this time, which are just so sweet and special (and still decorating our dining room). People really don’t mind, and I don’t spend the time after birthday parties digging our way our of stuff. If you want to read more about how we say "no gifts"- check out this post. Tacos! The Boy made carnitas tacos, which is one of my favorite things he makes. He made a pound more than he has for any other party, and we still ran out! He also made vegetarian black bean quesadillas, which were a big hit for the kids. We try to always have a great vegetarian option. We had a spicy salsa and a not so spicy salsa (though really neither turned out all that spicy). We made signs to match the labels in the book. Then we had fruit salad and put it in a “dragon egg.” Not our strongest tie in ever, but it still worked! We bought some chips (but not enough) to help use up the salsa. 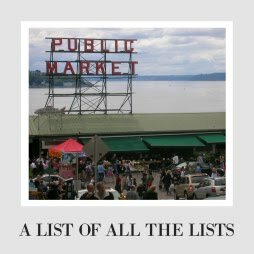 It was a pretty simple menu, but people ate a lot. We had margaritas for the adults and just water for the kids. I have found people really like your kids parties when you serve a little alcohol. 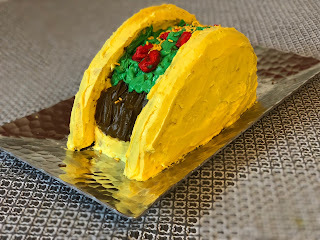 For the cake, I made a taco-shaped spice cake. And it actually turned out pretty cool! Honestly, I was dang proud of this cake, because usually they are barely holding together, but this one held on. The downside was it wasn’t really enough cake, so we should have had a second treat planned. 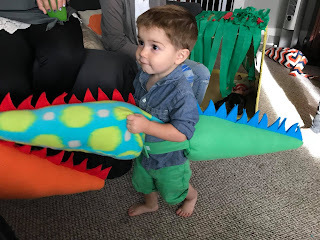 The only non-food purchase we made for this party was a bunch of dragon tails. 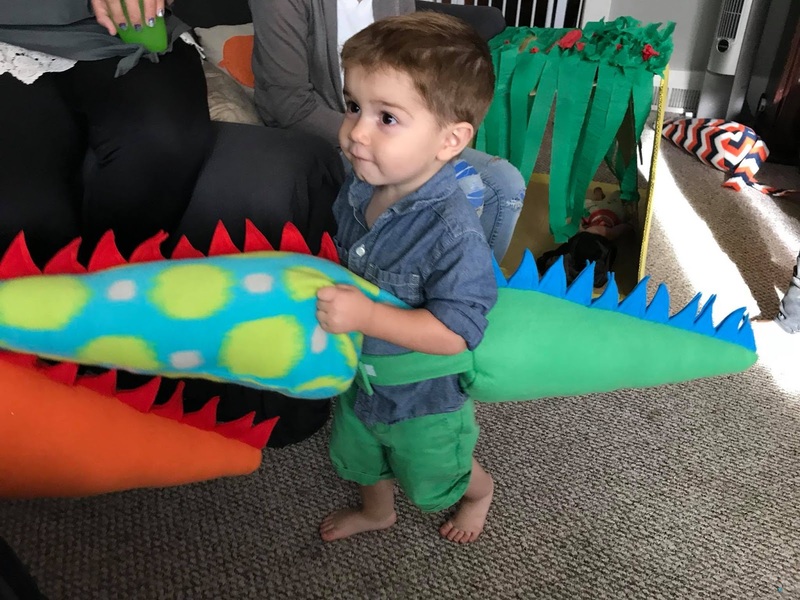 We bought them from Kid Hub as a big splurge, because I just thought they were too fun. She did an amazing job, and the tails were a huge hit! Because with kids this little, they are going to be the cutest part anyway. If you can sew, I bet these are doable on your own pretty simply. But that is not me. Since we spent big on the tails, everything else was just made from things in our house. 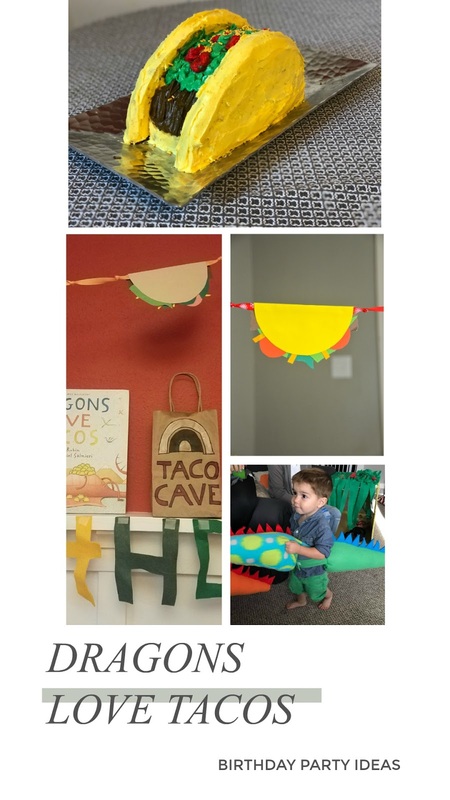 We made taco garlands from cardstock and scrapbook paper. I cut circles about the size of tortillas (4 per page) and then we just kind of felt out the ingredients. My sons helped fold them up and glue them together, and they were pretty excited about that. We also made a taco tunnel, because 2 years ago we made my older son a trolley out of a freezer box for a birthday decoration, and now he thinks every birthday party means a new cardboard structure. This was a box for our new suitcase with corners cut out, painted yellow with acrylic paint, and decorated with crepe paper. If I could do it again, I would have painted the whole inside yellow, but I don’t think the children cared. 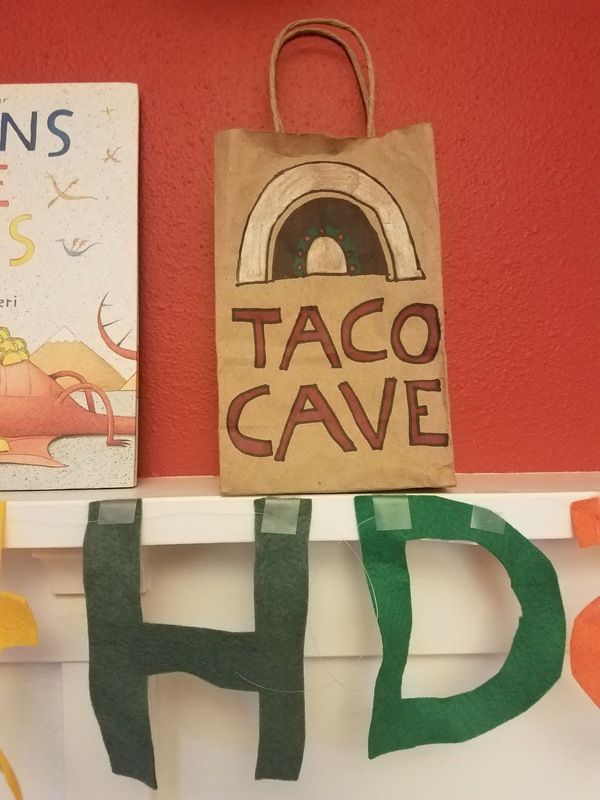 Other than that, we added some crepe paper and little details from the book, and our trusty happy birthday banner, and called it done. We tried to only use our own plates, but when they ran out, we switched to compostable. We mostly do things at our own house so the kids can just play and we can just use all of our regular plates, silverware, cups, etc. It takes a minute to clean up afterwards, but we usually get it all done that night, and honestly it doesn’t seem that bad. Are you going to serve pantsloads of tacos at your next party? So fun! 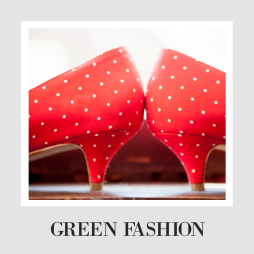 I hope these ideas helped, and if you are interested in throwing more eco-friendly parties, check here for ideas on how.